On the 3th of August during a Russian EVA on the International Space Station the new Arissat-1 satellite was launched after many delays. 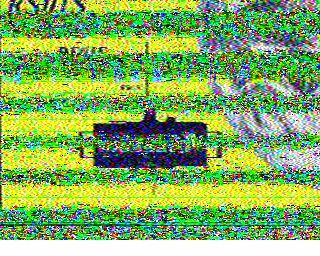 During the EVA there were problems too with the suspected missing UHF antenna, although people have since been able to use the SSB Transponder so something must be attached. 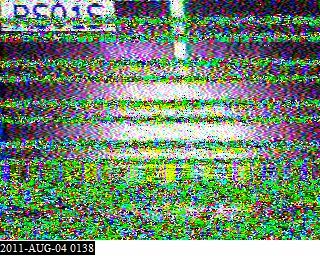 The signal wasn’t strong at only 5 degrees elevation but managed to decode an SSTV image, but as you can see plenty fading every couple of seconds. But a couple of hours later I managed to get a slightly better quality image from one of the onboard cameras! I’ve yet to have an SSB contact via it but hoping that might be possible next week during a non Eclipse pass, and will report if/when that happens.